Located on the south-west coast of the Malaysian Peninsular, Kuala Lumpur is the economic, monetary, trade and cultural center of Malaysia. 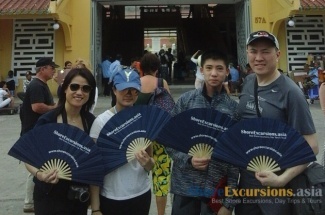 The weather you can feel in Kuala Lumpur shore excursions is hot and humid all year round. However, different rainfall and temperature occur depending on the time of year. This makes Kuala Lumpur become an ideal place for taking a visit all year round. The temperature during the day usually ranges between 29-35 degrees Celsius and 26-29 degrees Celsius at night. Thanks to being surrounded by mountains and valleys, during the rainy season, the temperature can be colder. The climate in Port Klang shore excursions can be cooler than in most other areas in Malaysia. Because Kuala Lumpur is also less affected by monsoon winds blowing from the east or west. The rainy season occurs mainly between October and March while the weather from May to July is usually dry. The sun shines from early morning into the afternoon, and the evening could see occasional rain and few storms. This balance of weather makes Kuala Lumpur one of the cities with the most stable climate to travel at any time of the year. 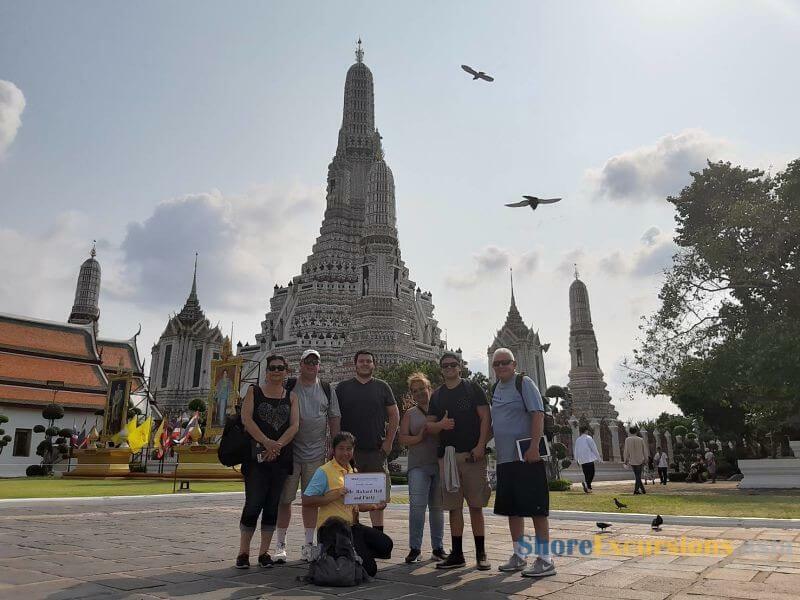 Asia Shore Excursions is offering the best Kuala Lumpur shore excursions for cruise ship passengers docking at Port Klang. 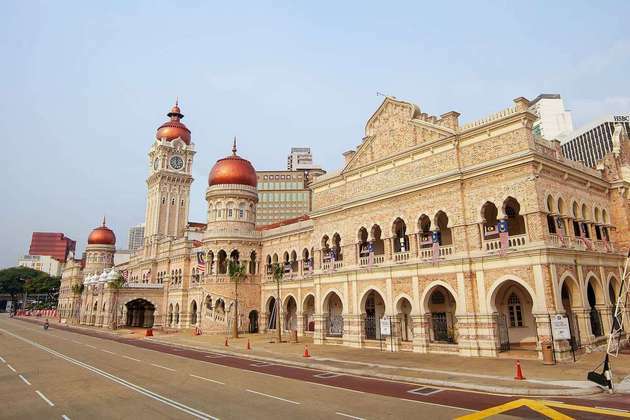 Check out our recommended Port Klang shore excursions for some inspirations. 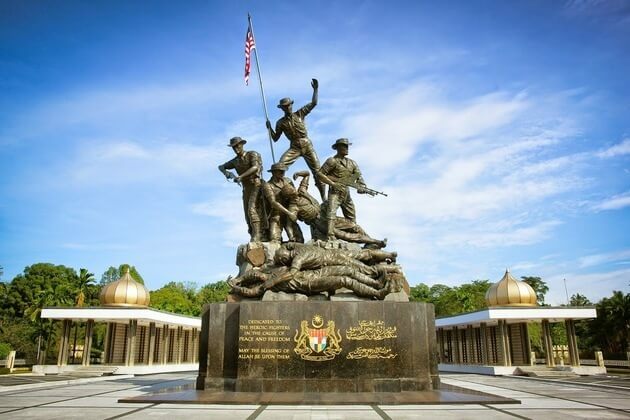 If you do not find any suitable Kuala Lumpur day tours, please contact us to tailor-make a unique Port Klang shore excursion to Kuala Lumpur that exclusively for you. We will be arriving at Port Klang on Jan 3, 2017 at 7am (Royal Caribbean, Mariner of the Seas) and our cruise will depart the same day at or before 3pm. We are a party of 14 people. 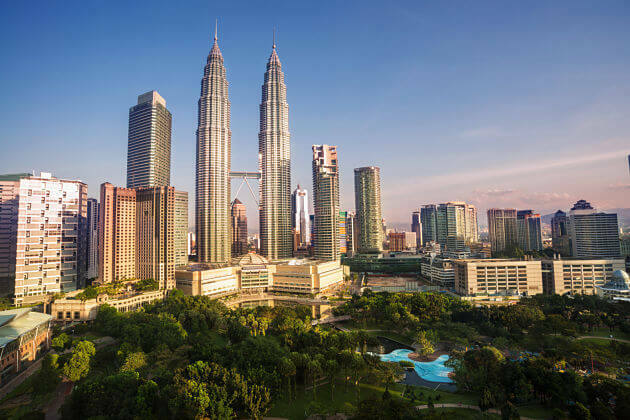 When in KL, we like to make a few stops at the Petronas Twin Towers, China town, and spend more time in the Bukit Bintang area for shopping. The most important point of course is for your tour to come pick up when we arrive and return us for boarding on time. 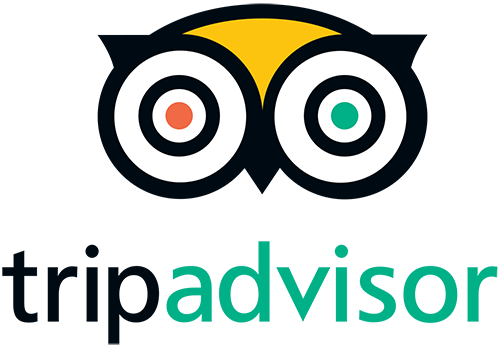 Can you recommend a tour package for us? If so, please provide details. Thanks for your request, we have dropped you the detailed quotation of your tailor-made Kuala Lumpur shore excursions as you request, please check your email. The capital of Malaysia, Kuala Lumpur is the combination of modern structures and old values. 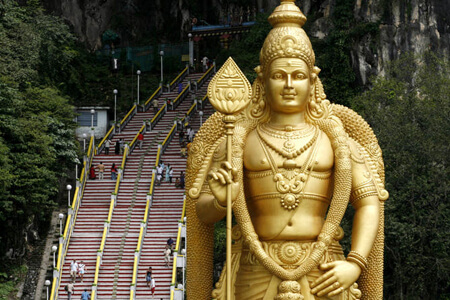 Port Klang shore excursions to Kuala Lumpur will cover these incredible attractions all. Serving as a symbol of Malaysia’s capital, Putra Mosque is well-known for being one of the most modern mosques on Earth. 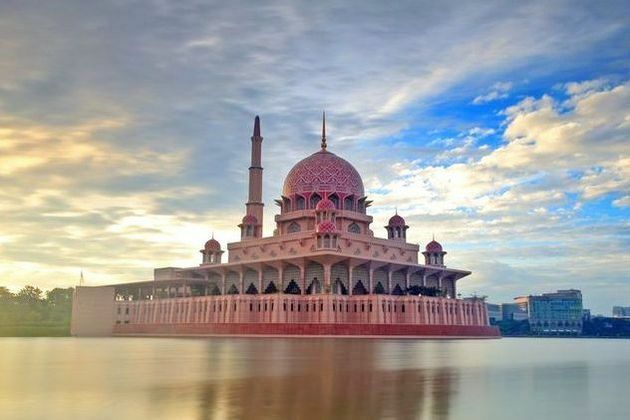 With the unique pink color, the mosque is also called as the Pink Mosque located in Putrajaya. 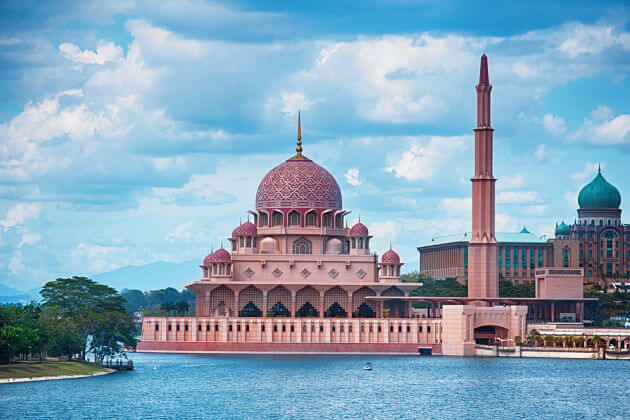 Standing in the bank of spectacular Putrajaya Lake, Putra Mosque is the perfect harmony combination of Middle Eastern and folk Malaysian style revealed in the unique architecture and extremely delicate design. The incredible talent of local craftsman is clearly shown through many indigenous materials. The mosque is designed with granite in desert-pink color covering the domes, while both doors, windows, and panels are decorated with detailed pattern embellishments. The main hall named Prayer Hall with simple but elegant style can contain up to 10000 prayers. The mosque is also home to an auditorium, lectures rooms, a dining hall, a library and an area for funeral services which both serve for Muslim practices in Malaysia. Conservative clothes are recommended when visit Putra Mosque included in Port Klang shore excursions to Kuala Lumpur. Another symbol in Port Klang shore excursions is the Petronas Twin Towers. With 88 stories, this tower is the tallest twin tower in the world. This pride of Malaysia can frequently be caught through media and social networks. Built dated back to 1998, the towers wonderfully has a height of 452 meters with the design coming from the head of an Argentinian engineer. From the Port Klang to enjoy Kuala Lumpur Shore Excursions, you will be overwhelmed by the panoramic view over Kuala Lumpur at the 41st and 42nd floors which are around 175 meters high from the ground. To adapt to the modernization but still remain the traditional values, Petronas Twin Towers are highlighted by the inspiration of Islamic religious architecture which serves as the main religion in Malaysia. It’s necessary to pick up some interesting local goods as souvenirs of the trip. In Port Klang shore excursions to Kuala Lumpur, the most popular place to shop traditional products is Batik Center where serves as the largest batik and handicrafts center in the city. 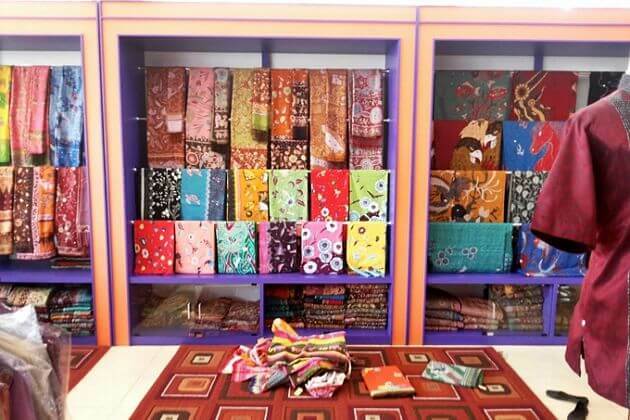 Located right in the heart of the capital, the way heading to the center is easily accessible to get a glimpse of Malaysian batik and handicrafts. Firstly existed in the 1920s, Batik is a traditional technique to create man-made patterns on fabric by using wax, dyeing, and printing. The center is not only a tourist attraction but also a place to well preserve the unique heritage and identity of the country. Witness how locals make the original and high-quality batik and indigenous handicrafts revealing the soul of Malaysian culture. The natural beauty is hidden as a supreme secret that takes human thousands of years to discover. 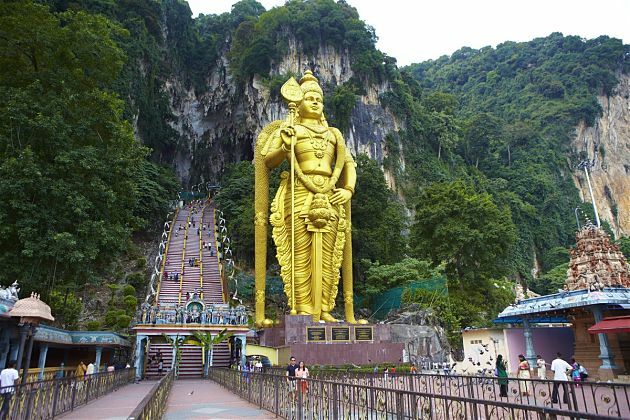 InPort Klang shore excursions, the nature secret is clearly shown in Batu Caves. Not only serves as an attraction for tourists, but the caves is also a sacred place for worshippers coming to practice their religion. 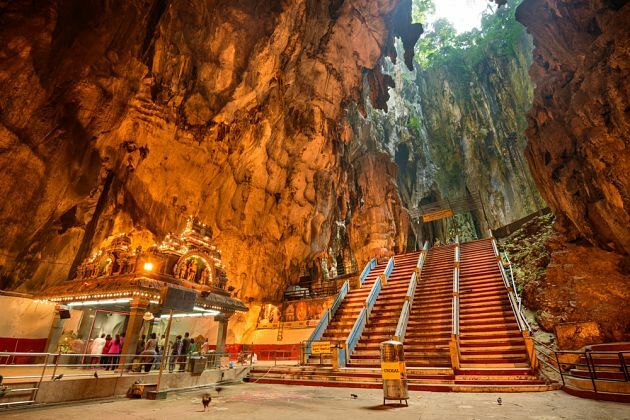 Step out of the hustle in capital central, head to the north and visit Batu Caves hiding deeply in a limestone hill which consists of three main and a variety of smaller caves. Named as the Sungai Batu River flowing along the hill, the caves are home to one of the most important Hindu shrines in the country. These ancient caves have been existed for over 400 million years with a depth of 400 meters and a height of 100 meters. The temple inside has the age of more than 100 years and is dominated by numerous Hindus statues. Right in the entrance, you’ll be overwhelmed by a giant-sized gilded statue of Lord Murugan standing as a symbol of power and wealth. Along with the modern side, Malaysia still remains the rural traditions revealing in paddy fields throughout the country. 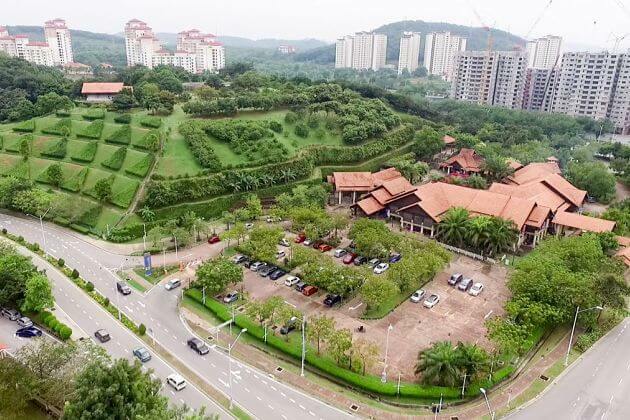 For an authentic rural experience in Port Klang shore excursions to Kuala Lumpur, take a visit to Taman Warisan Pertanian Agriculture Park where well preserves the agriculture of Malaysia. The park provides chances to learn about, witness, and get hands-on experience the crops. Moreover, the park is also home to plenty of other plants such as rubber tree, fruits, palm, cocoa, herbs, and spices. If you come to Taman Warisan Pertanian Agriculture Park during the fruity time, you can enjoy fresh tropical fruits. In most time of the year, Kuala Lumpur has the hot and humid but nice weather which is the ideal condition to visit all year round. The capital of Malaysia experiences the tropical climate leading to occasional rainfall can be caught in Kuala Lumpur shore excursions. With the protection of mountainous valleys in some directions, Kuala Lumpur weather is a little cooler than the rest part of the country with the temperature ranging between 29°C and 35°C during daytime, and from 26°C to 29°C at night. Although being the least affected areas by monsoon winds, after heavy rain, the cool temperature still covers the city. 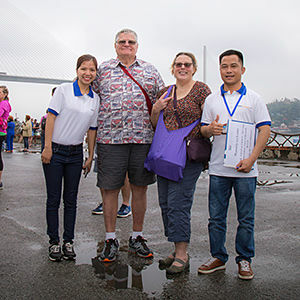 The fact is even the worst weather condition in Kuala Lumpur will not affect city tours too much with gentle strolling along entertainment complexes. On these days, public transportation helps a lot. 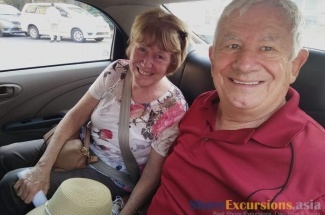 In Kuala Lumpur shore excursions, you can experience some random floods and high waves in a fixed time of the year that the best time to visit Kuala Lumpur is essential to know with everyone wants to visit the city. The two major monsoon seasons annually visit the city causing some short rainfalls and thunderstorms that a little affects the tourism activities. From October to January is the peak time of monsoon winds hitting the eastern side of the peninsula, however, due to the mountain serves as a natural shield, visitors from Port Klang shore excursions still experience showers. The heaviest rainfall time is between March and April when the monsoon directly strikes the region. 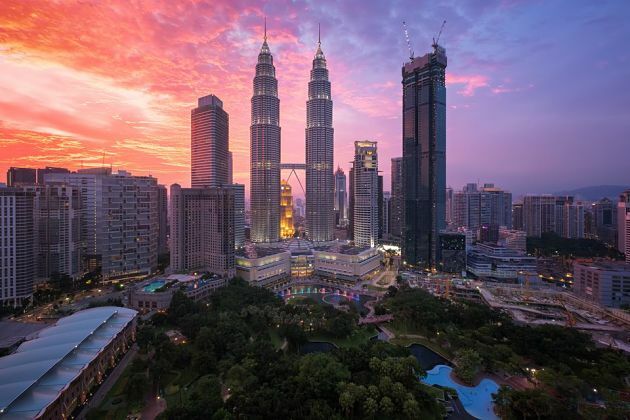 After this time, from May to July is the best time to visit Kuala Lumpur that the city is covered with a dry atmosphere, blue sky, and mild temperatures. Spring in Kuala Lumpur comes with warm weather, high humidity and temperatures which ranging from 32°C to 35°C (91°F - 94°F). If you enjoy Kuala Lumpur shore excursions in this time, you can meet some quick rain of 10 – 14 days average per month. Spring is also the second busiest time for tourism in Kuala Lumpur that the price for accommodation, services, and other activities is a little high. Summer in Kuala Lumpur has the ideal weather for traveling: high temperatures but not too much, and lack of rain. Only 7 to 9 days of precipitation per month. Due to its nice weather, this time is the best time and also the peak time of tourism in Kuala Lumpur. Cost for everything is much higher than the rest time of the year. Booking accommodations before visiting are recommended to avoid the case of no good room left for your trip. Fall in Kuala Lumpur has the same temperature pattern as spring ranging from 23°C to 32°C (73°F - 90°C) with a nice feeling of humidity and wind. The rainfall can be 11 to 18 days of precipitation per month. A little snows drop off in the coldest days that lead to this time becoming the slowest season of tourism. The good thing is the price for most of the services are more affordable. Due to experiencing the tropical climate, winter in Kuala Lumpur is not as cold as other regions in the world. The warm and enjoyable temperature covers the city with an average of 22°C and 33°C (71°F - 91°F). In this time, it rains with a great amount from 10 to 14 times per month.